More than 300 people marched in memory of Martin Luther King and in support of the current New Mexico driver's license law in Las Cruces on Monday, Jan 16. 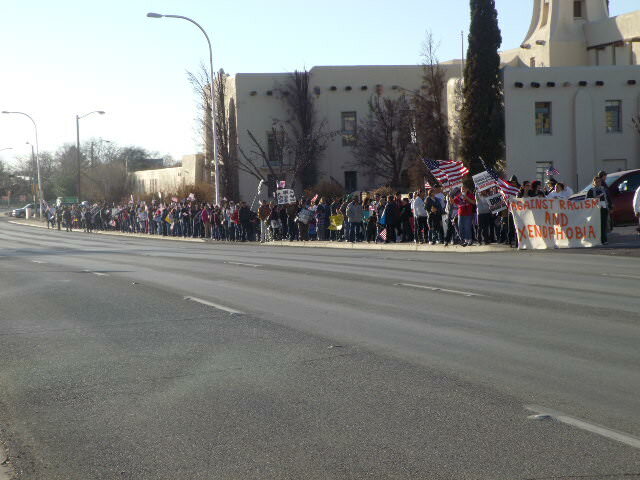 (LAS CRUCES, New Mexico) â€” More than 300 Southern New Mexico residents marched and rallied in Las Cruces today to honor the memory of Martin Luther King, Jr. 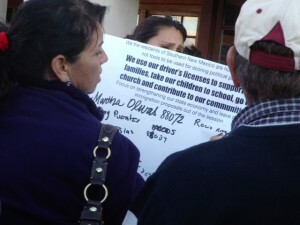 Most of the marchers were members of the Border Network for Human Rights and where there to show support for the current driver’s license law in New Mexico. The current driver’s license law in New Mexico, in effect since 2003, allows undocumented immigrants to legally obtain a license if they can show other ID, residency verification and security checks. Governor Susana Martinez, who’s grandparents famously came to the U.S. without legal status, has vowed to try a third time to repeal the common-sense law. Martinez has shamefully compared hard-working immigrant families in New Mexico to terrorists on her campaign to repeal the law. 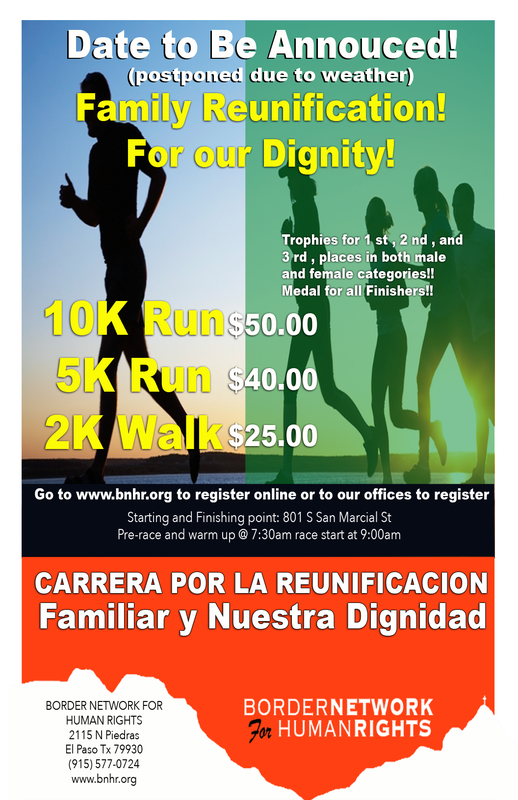 Fresh off the energy of the march and rally, Border Network members announced they would be sending a delegation of 15 people straight from the march to Santa Fe for the start of the legislative session. Southern New Mexico residents sign large petitions that Border Network members will take to the Roundhouse on Tuesday, Jan 17. Before sending the group off, BNHR members signed poster-sized petitions for the delegation to deliver to lawmakers in the Roundhouse on Tuesday. Find more photos of the march and rally on Facebook.